NHL News : Seattle's Mayor accidentally leaks name for future NHL team?! Seattle's Mayor accidentally leaks name for future NHL team?! 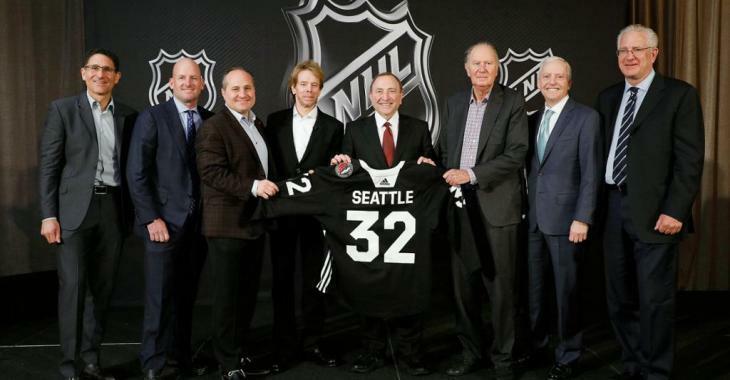 Seattle is two years away from getting its NHL expansion franchise, however the excitement on the 32nd club coming to the city can be felt quite intensely. While ownership of the Seattle NHL franchise have also yet to reveal the team’s name, logo or color scheme, it seems like the city's mayor has a favourite when it comes to the name of the future club. Did she mean the Seattle Kraken? That hashtag would suggest that could be the team's name and some people are starting to wonder if the Seattle's Mayor accidentally leaked the name for her future NHL team?! It could just mean that the mayor just wants Kraken to be the name seeing that she has used this hashtag before his publication on Wednesday. Until a name is official, we can only continue to guess what it will be, however, I stand behind the mayor since the Seattle Kraken sounds amazing. A lot of fans thought so as well. Some were quick to respond to his tweet with ideas for a new logo and a color scheme for the jerseys. What do you think of "Kraken" as the name for Seattle's team? Is it going to be the One?